So, on Tuesday, I felt my first earthquake. I’m sure you heard all about it, and even my family in Michigan felt it, so yeah, not the biggest deal. I was by myself in my 3rd floor office, so I thought I was having some kind of anxiety-related dizziness/hallucination or something, but the Internet quickly put me in my place. Tonight, we might get some severe thunderstorms with hail. Great, just what I need on the night I have Restaurant Week reservations for dinner. Oh, but later? Later this weekend, we might be visited by HURRICANE IRENE. As in, this Hurricane Irene may pass over Boston or Western Mass and leave us in its wake. Oh, and sometimes, the eastern side of a hurricane (us), can create tornadoes. So I’m thinking about non-perishable dinners, buying bottled water and candles, and buying booze. But I’m thinking that I might die anyway, because this book I read once? Gave me a mortal phobia of natural disasters. Some of you might have heard of it. 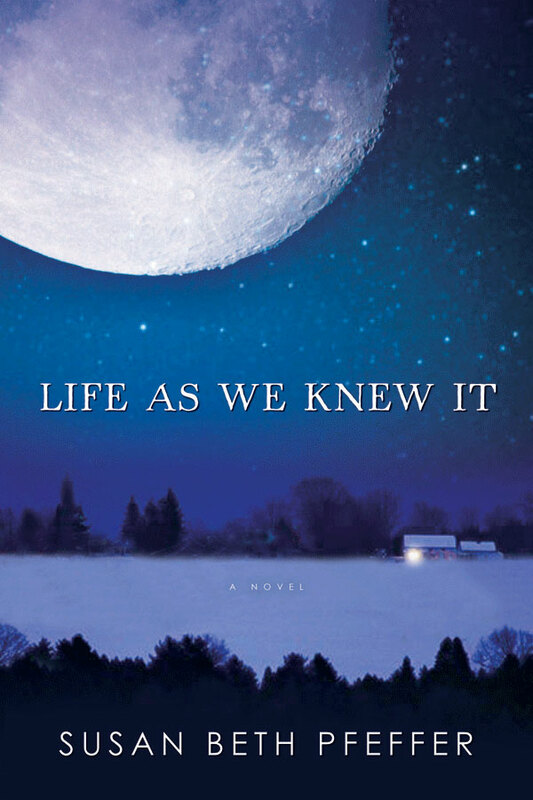 If you haven’t read Life As We Knew It by Susan Beth Pfeffer, I would not recommend it as a “The Power is Out” read. Now, if you’ll excuse me, I’m going to stock up on batteries, penicillin, and Xanax. Yeah, those books mean you’ll never feel safe without a grocery store in your closet.